...parts; motor vehicle assemblies jumped to an annual rate of 11.5 million units, the strongest reading since April 2018. Excluding the gain in motor vehicles and parts, factory output was unchanged. The output of utilities advanced 1.2 %, and mining production increased 0.7 %; the index for mining last decreased in January 2018. 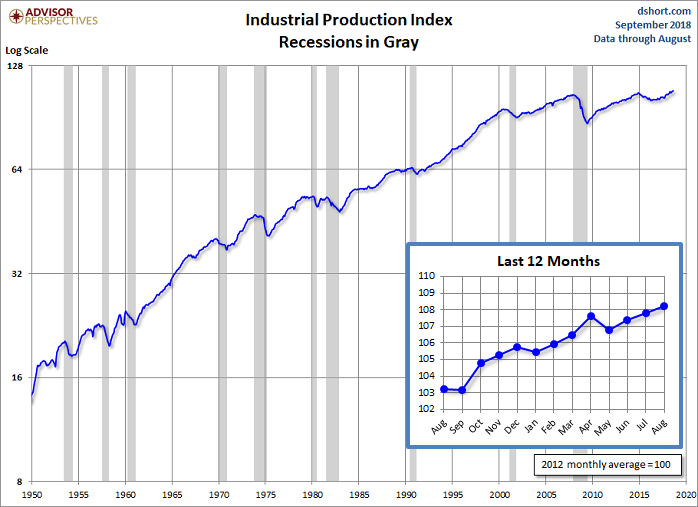 At 108.2 % of its 2012 average, total industrial production was 4.9 % higher in August than it was a year earlier.